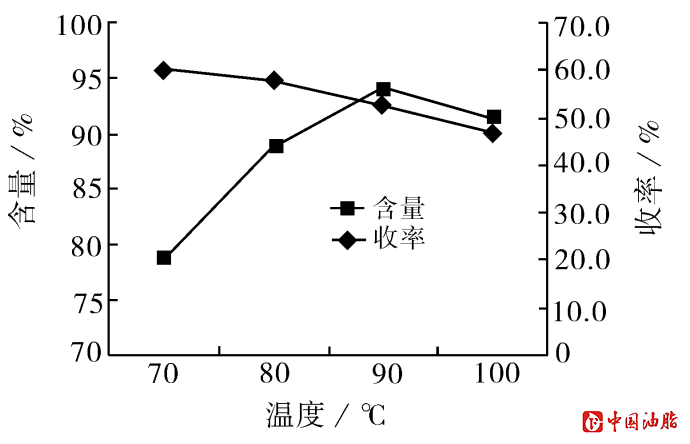 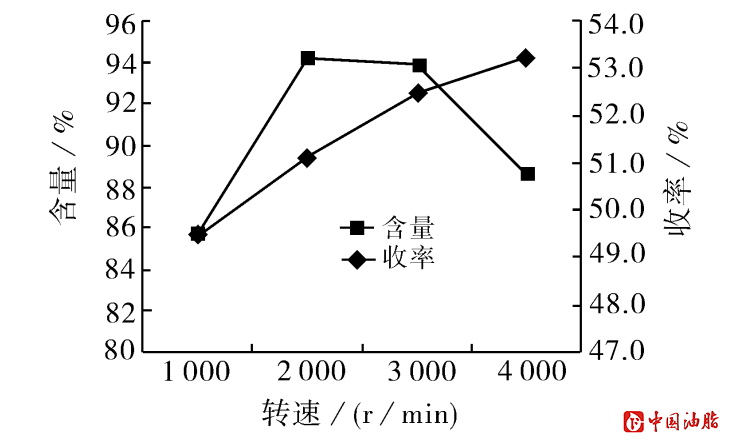 Abstract：High-purity soybean saponins was produced from soybean molasses by resin purification and crystallization method.The effects of various influence factors on the purity and yield of soybean saponins were discussed.The optimum conditions determined by orthogonal experiment were that soybean molasses was purified by H103 resin and the desorption solution was heated to remove the eluent of alcohol and concentrated to solid mass fraction 3%, then the concentrate was centrifuged for 7.5 min at 95 ℃ and 3 500 r/min,and the sediment was dried to obtain the product of soybean saponins.The purity of soybean saponins was 94.25% and the yield was 51.26%. 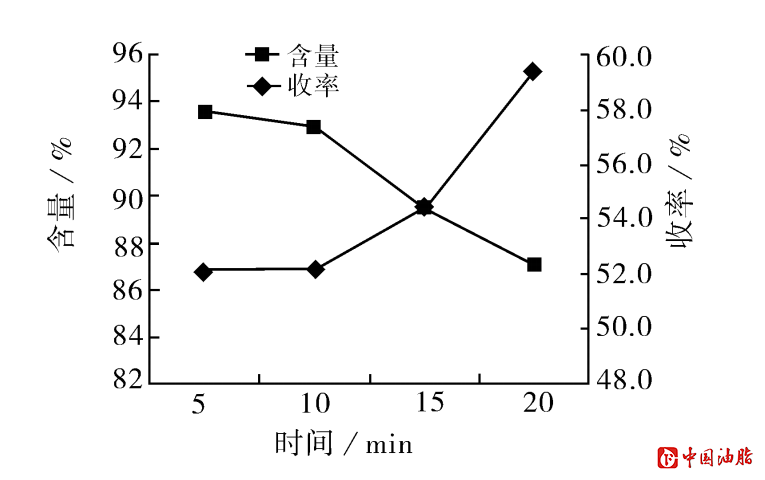 ［2］ BERHOW M A,WAGNER E D， VAVGHN S F,et al.Characterization and antimutagenic activity of soybean saponins［J］ .Mutation Research, 2000, 448(1):11-22. 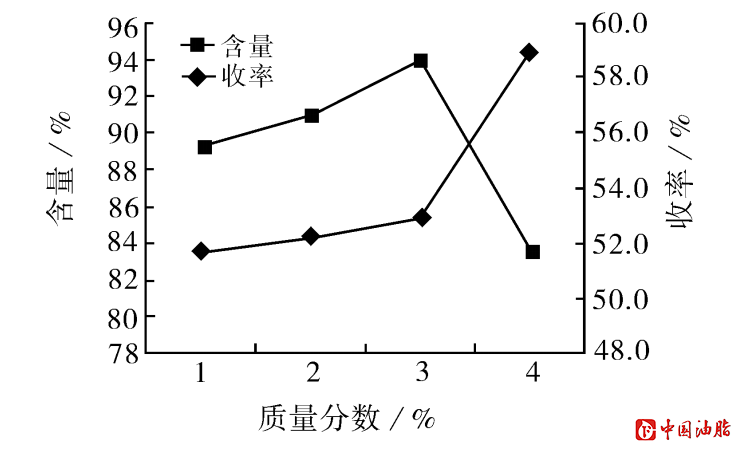 ［5］ HOSNY M,ROSAZZ P N.Novel isoflavone,cinnamic acid,and triterpenoid glycosides in soybean molasses［J］.J Nat Prod,1999,62(6):853-858.